We can’t all garden year round…unless you have a greenhouse. 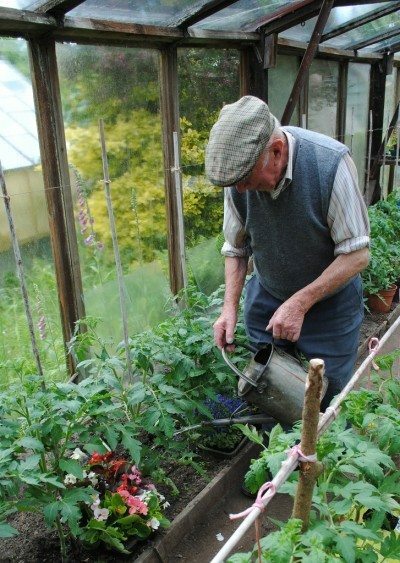 Gardening all year is possible with the right greenhouse plans and how to garden in them. It’s true that many of the more elegant greenhouses can be costly, so why not get tips for building a greenhouse of your own at half the cost. 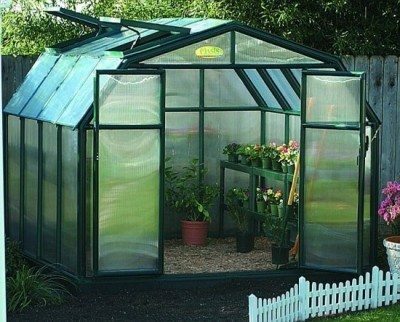 By using our greenhouse gardening tips, you will find information about greenhouse plans for building a greenhouse that meets all your gardening needs. You will also learn how to grow plants in a greenhouse environment. Keep reading to get started. “Hardening off” plants before being moved to their final location not only improves the likelihood of survival but ensures a strong start to the growing season. Learn more about using a cold frame for seedlings to harden off in this article. Perhaps, you’ll be away from home for several weeks or maybe you’re sprouting small seeds that need to remain constantly moist. These situations might call for covering plants with plastic bags, but there are some things you need to know – this article will help with that. While many people use cold frames to extend the growing season or harden off seedlings started indoors, you can also use a cold frame to start germinating and sprouting your spring seeds. Learn how to do this in the following article. For gardeners, overwintering in a cold frame allows gardeners to get a jumpstart on the spring gardening season, or to extend the growing season well into fall. Interested in learning more about using cold frames for overwintering plants? Click this article. You can extend the growing season several months with cold frames and enjoy fresh veggies long after your outdoor garden crops are gone. Click here for more information on fall gardening in a cold frame, as well as tips on constructing cold frames for fall. Ideally, keeping a greenhouse clean should be an ongoing task, but as we all know, what we should do isn?t always what happens. So how do you sanitize a greenhouse? The following article contains everything you need to know about how to clean a greenhouse. So you want a greenhouse. A simple enough decision, or so it would seem, but in actuality there are many factors to consider, not the least is where to put your greenhouse. Correct greenhouse placement is likely your most important consideration. This article will help. Some seeds are finicky and require steady temperatures and a controlled environment to germinate. By starting seeds in a greenhouse, gardeners can provide a stable atmosphere for seeds to germinate and seedlings to grow. Learn more in this article. If you?re interested in extending your gardening season but your garden has outgrown your cold frame, it?s time to consider solar tunnel gardening. 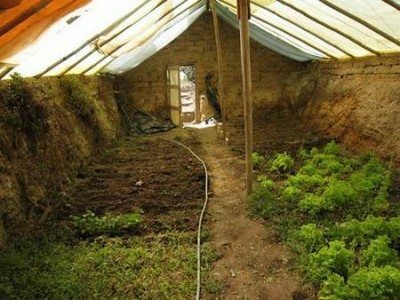 Click on the following article to to find out about solar tunnel gardens and using high tunnels to garden. Greenhouses are fantastic but can be quite pricey. The solution? A cold frame, often called the ?poor man?s greenhouse.? Gardening with cold frames is nothing new; they?ve been around for generations. They have a number of uses and you can learn more here. People interested in sustainable living often opt for underground gardens, which when properly built and maintained, can provide vegetables at least three seasons out of the year. Learn more about underground pit greenhouses here. Hoop house gardening is a fantastic and economical way to extend your growing season by weeks or, if you?re really committed, all the way through the winter. Learn about hoop house gardening and how to build a hoop greenhouse here. If you?re looking for a super fun, yet educational, project for the little ones, creating a 2-liter bottle greenhouse fits the bill. Heck, making a soda bottle greenhouse is fun for adults too! Read this article to see how to make a pop bottle greenhouse. In the summer, and even in other months in warmer climates, keeping the air inside a greenhouse cool is the main goal. Read this article to find out more about ventilating your greenhouse. Making your season last longer depends on keeping a greenhouse warm in those cold early spring months, as well as later in the fall. This article will help with that, so click here to get started. When your shiny new greenhouse finally arrives, you're going to need greenhouse gardening supplies. Read this article to discover the most common supplies for a greenhouse. Greenhouse watering systems are important parts of creating this ultimate growing climate. Use this article to learn more about irrigation in the greenhouse so you can ensure your plants get what they need. 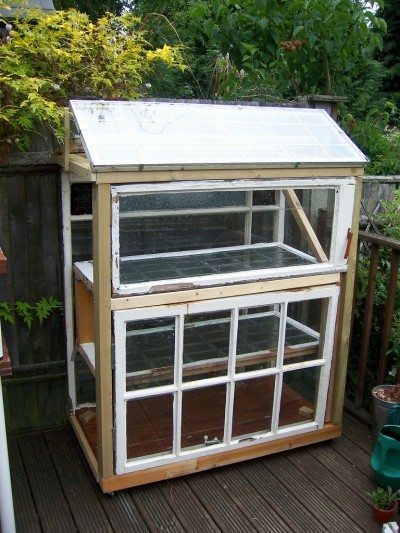 Did you know you can build your own greenhouse from old windows? Learn how to build a greenhouse from recycled materials in the following article and get started today. Click here for more info. Of all the types of greenhouse you can build, a lean-to style can be the best use of your space. 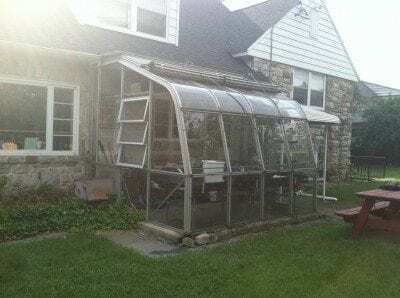 Read this article to learn more about using this type of greenhouse structure. Find out more here. Bugs and greenhouses go together like peanut butter and jelly - except not as delicious and not really as welcome. Learn what you can do about this problem in this article. Click here for more info. Greenhouse disease management is a vital part of owning one of these structures, and the most commonly neglected chore. Learn more in this article so you can keep potential problems at bay. Gardeners turn to mini greenhouse gardening when they need to create a specific microclimate or lack space for a larger, more permanent greenhouse structure. This article discusses mini greenhouses. Growing vegetables in a hobby greenhouse allows them to extend the season, giving you a year-round gardening opportunity. This article provides additional information to keep your veggies growing over winter. Using a greenhouse for growing herbs is a great option. Learn about some of the best herbs that thrive in a greenhouse environment in this article. Find more herb plant info for greenhouses here. Growing plants in a greenhouse can be rewarding for the home gardener. Suitable plants are available for every kind of greenhouse and climate. Learn more greenhouse plants in this article. If you've got a more modest garden in mind and a smaller amount of expenses you can afford, using grow tents for plants is a logical alternative to extend the season. Read here for more info. Using shade cloth in a greenhouse is one way to keep the interior cool and cuts down on the solar radiation that hits the plants inside. Learn more about greenhouse shade cloths in this article. 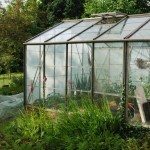 Building a greenhouse, or thinking or just researching greenhouse gardening info? Read here for more information on building and using greenhouses for growing plants year round.